Configure, design and deliver custom products faster than ever before. Design automation makes designing and selling custom products as fast and easy as for standard products. 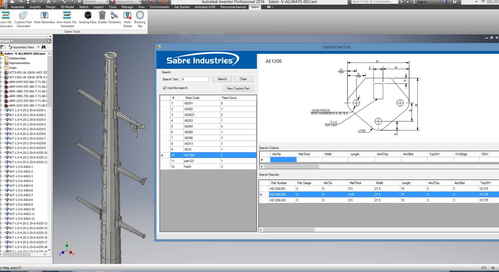 Automatically create detailed production and assembly drawings with related documents needs for sales quotes, right from within your CAD tool. Our Design Automation services automatically produces complete 3D models and 2D drawing for custom products and documents needed for sales quotations and production. Design Automation helps to produce error free designs and maintains consistency across all designs and drawings. We are capable to develop Design Automation solutions for following software, Solidworks, AutoCAD, Autodesk Inventor, Solid Edge.